At Wrap iT Signs, we believe you really only have one chance to stop your customers in their tracks! Use custom wall graphics to advertise your new products or your latest promotions! You can also use wall graphics to direct customers to certain products on nearby shelves, or use them to direct the flow of traffic in your store. Wall graphics are also a great substitution for wall paper and to promote your company name and logo within your office or you can also put your favorite inspirational quote or saying onto your office wall. Custom graphics are also the perfect finishing touch on a children's room or man cave! Decorate with your favourite sport teams or athletes or how about a custom superhero mural that will make your child the envy of his friends? Wrap-iT Signs can do it all. Decorating with etched glass privacy window films by Wrap-iT Signs is an economical way to give your windows, glass doors and showers the look of expensive frosted or etched glass while still allowing natural light through. 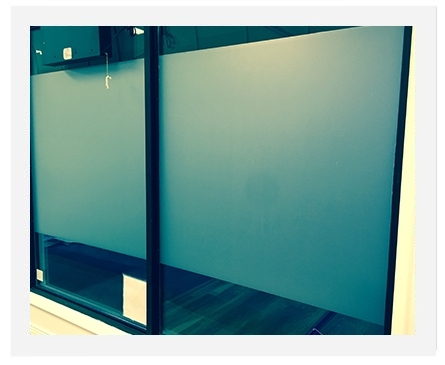 In businesses with large glass windows and glass walls, we can use etched window films to modify visual line of sight as well as to give privacy. We can also custom design glass film with your company logo to convey your corporate branding. A blank canvas is an astonishing gateway to a boundless world of artistic prospects. The similar goes for a blank wall in your office or front of the windows. That’s why you wish to take a look at the distinguished custom wall graphics available from Wrap iT Signs! What do you mean by Wall Graphic? A wall graphic, which may also be defined as a wall mural, mural sign, wall tattoo, or wall decal, is essentially a thin vinyl print carefully added to the wall, either for decoration or sometimes for direction or encouragement. The vinyl is absolutely cut, vibrantly printed, and should be carefully and accurately installed to evade air bubbles for a flat, ‘tattooed’ look. The emblem can also be enforced to windows or glass dividers if preferred. What Makes A Wall Graphic a Good Option for the Businesses? Wall graphics are tremendous for a few reasons. Not only are they vibrantly colored and resist paling, but they can be custom made to any size and any design, granting businesses to cover entire walls or simply add a bit of ability to a blank space. They are usually economical than artwork of comparable size and can be installed and eliminated with absolutely no damage to the wall beneath. This fast, clean install and exile process makes decals great as temporary solutions to broadcast or benefits the upcoming events or seasonal programs. Use one in the back office for decoration or order a wide variety for the front windows to carry your storefront decorations and broadcasting fresh and current. Important directions for visitors / customers mainly as a custom graphic looks more permanent and professional related to printer paper signs. Precisely! Printing vinyl is a very affordable process, granting countless companies to invest in great-seeking custom designs without stressing their budgets. The exact cost depends on the colors, difficulty, and size of the design, but free calculations and quotes are always given on request. 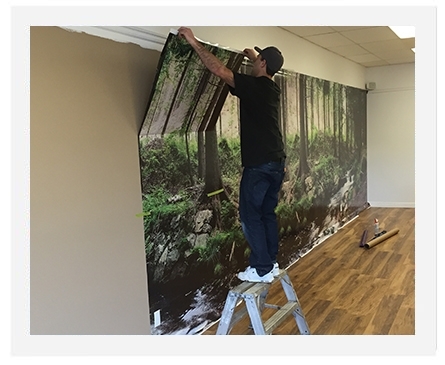 How Should We Get Started with Wall Graphics? The best way to get started is to call our team. Wrap iT Signs is proud to offer a great experts for design and production of custom wall graphics for businesses in and out of the surrounding communities. If you have a better idea of what you would like your design to feature, or want some assist narrowing down your options, we’ll do our best to assist and ensure that your final result is 100% perfect!